Pixel digital is proud to have developed Mike’s Autohaus new website. 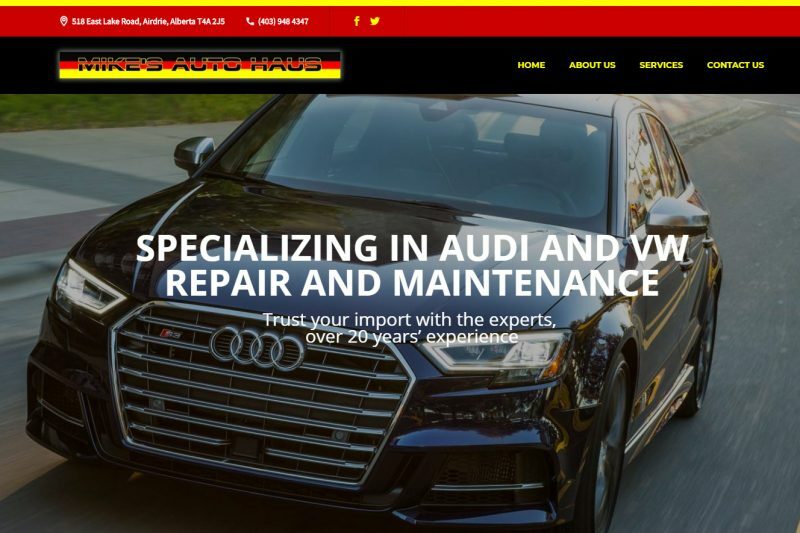 Mike’s Autohaus Airdrie is is a family run automotive repair shop located in Airdrie, Alberta that specializes in servicing Audi and Volkswagen vehicles. Mike’s Autohaus is a certified Audi and Volkswagen shop with more than 20 years’ experience with European vehicles.